I am a pet; I do not live, but I produce any sound you tells me. I obeys your commands, yet I am not easy to be commanded. What am I? 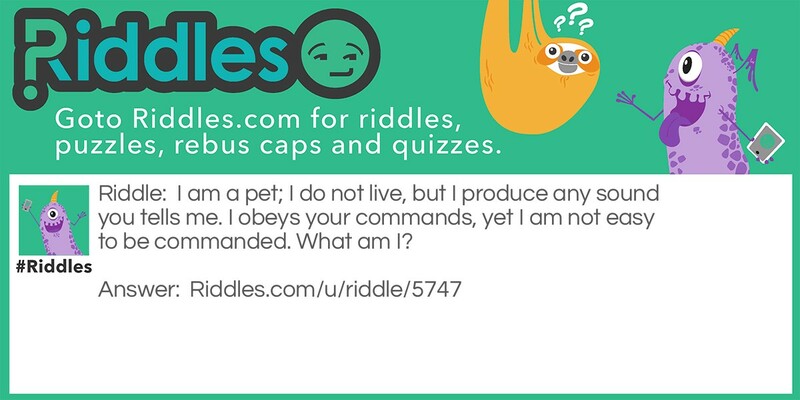 The Pet Riddle Meme with riddle and answer page link.